If you enjoy being out on the water, life doesn’t get much better than getting out on your pontoon boat during the summer months in Minnesota. These types of boats are some of the most relaxing boats on the water. If you would rather sit back and enjoy some quality time with family and friends on the water, than be in a high speed boat that bounces you around, a pontoon boat is just for you. Year after year, more people are beginning to trade in their speed boats for the calming feel of a pontoon boat. Just like any type of boat, it at some point will need repairs. When investing in an expensive item like a pontoon boat, it is important that you have a reliable boat repair shop that you can count on. You are in luck because Anchor Marine Repair is a pontoon boat repair company that has over 45 years of combined experience. No matter what type of issues you are dealing with, our dedicated staff can handle your repairs. That is why we have earned the reputation of being the number 1 boat repair shop in the Minneapolis, MN area. Whether your seats are worn out and you need them reupholstered, or you are looking to upgrade an older pontoon boat that you recently purchased, we’ve got you covered. Additionally, we are aluminum pontoon float repair and replacement specialists. As an insurance company approved pontoon repair shop, we know exactly what type of damage to look for so that your insurance adjuster does not miss anything on the evaluation. All successful companies have at least one characteristic in common, they treat their customers well. We owe all of our success to the trust and faith that our customers have placed in our team, and for that we are forever grateful. Our technicians place their full attention on your project once it enters our facility and they make sure that it is repaired to a better state than it was in, pre-repair. 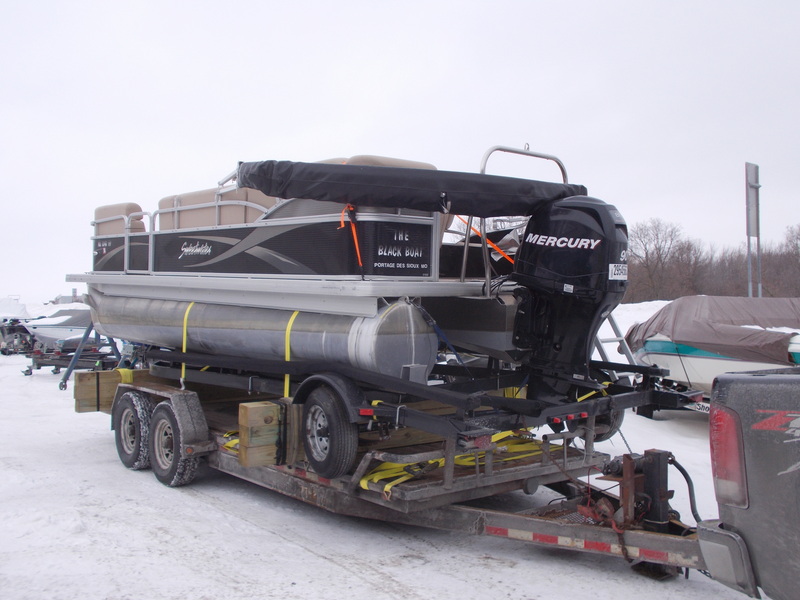 To show you how much we value your business, we offer pontoon pick up and delivery services as long as you are within 250 miles of the Minneapolis and St. Paul area. Get your pontoon boat repaired so that you and your family can get out on the water and enjoy the finer things in life. If you live in Minnesota, give Anchor Marine Repair a call today at (763) 972-3540 to learn more about our pontoon boat repair services.